Gorgeous Skin is Confidence, Naturally! Don’t you love the exotic, herbal, floral, and spicy scents that fill your mind and body with a plethora of calmness, oneness, and ease? Essential oils do all that and just a bit extra! They are skin’s best kept secret for achieving a clear, bright, youthful, and pimple-free complexion. You can spot treat neat or dilute with carrier oil unto an angry, red pimple to provide relief. A drop or two can be added to your morning or night moisturizer/treatment/serum/mask for a brighter and nourished skin – the options are endless with these little miracle workers! Their magic can work as fast as 2 hours – up to a day of healing. 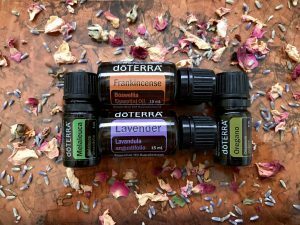 In addition, some essential oils can be used as an intoxicating fragrance – Geranium and Patchouli (serious head turners and men love it 😉 ) from Doterra brand are my two faves that I get constant compliments on! When it comes to the use of essential oils for healing acne, its best to research which oils provide the best outcome, since options may feel overwhelming (I’m gonna let you know which ones I found the most effective). The ones to look for are those that have antiseptic, anti-inflammatory, anti-bacterial and soothing properties because those benefits are on point to what your skin is craving to alleviate redness, flatten pimples, soothe dryness, and ultimate healing of upper dermis. In addition to helping skin heal from acne, essential oils work magic on rashes, eczema, psoriasis, stress, tension, targeted pain, migraines, and overall mood enhancement. They can also be used as insect repellent- clove, eucalyptus, pine, lemongrass, and lavender are my favorites for those humid summers! I’ve experimented with many essential oils over the years and I’m going to list my top 4 favorites (my tips + tricks how to use them; which ones are best fit for targeted treatment, cleansing, moisturizing) that I’ve used on healing my own skin with great success. Please understand that there are many low quality essential oils out in the market (usually much cheaper priced) with diluted and synthetic ingredients. 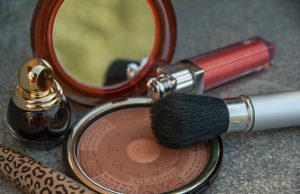 Be aware of this when purchasing and do your research on the brand, because applying essential oils on your precious skin for acne healing/skin regeneration, perfume use, or aromatherapy benefits can cause a rash or skin sensitivity if synthetic ingredient oils are used – no one needs possible carcinogens to be lurking around and seeping through pores. Genuine + pure essential oils are pure distillations of aromatic non-fatty parts of a plant or tree such as blossoms, leaves, roots, bark, resins, etc. Some of these oils can often be expensive as they take a lot of the natural source ingredient to create, and they are prized for their potent fragrances as well as their medicinal benefits. Manufacturers of synthetic fragrances must add toxic solvents to make their synthetic fragrances spread and dissipate into the air. Around 80% of fragrance formulations consist of harmful artificial chemicals and in some cases, 100% of a formula can be synthetic. The skin absorbs these man-made chemicals in a few ways – by direct application, by contact with fragranced items, and by exposure to air containing fragrances that can accumulate in your body and even internally. They can trigger allergic reactions such as migraines, asthma attacks, nausea, eczema, and a whole set of other sensitivities. Some of the added chemicals are/not limited to: benzaldehyde, benzyl acetate, propylene glycol, parabens, and sulfates. Read my article here on the dangers of chemicals/toxins lurking in personal and hygiene products to give you some background. Pure essential oils carry a host of benefits on healing and regenerating your skin! Did you know rose essential oil is amazeballs for dry, itchy, cracked skin? Dilute just one drop with your fave moisturizer or carrier oil and enjoy the benefits the day will bring to your face! On the other hand, if you have oily to very oily skin, I suggest lavender oil as opposed to rose to add to your fave moisturizer or carrier oil for a mattifying effect throughout the day- it regulates oil production. 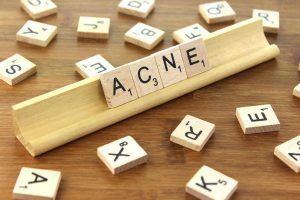 As stated above, the qualities you want to look for on acne healing, per use of essential oils should be antiseptic, anti-inflammatory, anti-bacterial, and moisture giving. For instance, oregano oil is truly remarkable for cystic acne; HOWEVER, it is extremely drying and can be very, very irritating to the skin if applied neat (no diluting with carrier oil). I’ve made a mistake on applying it neat unto a pimple and my skin burned for hours! It sure did calm the pimple down, but the area where applied became very red, irritated and very dry even into the next day. It MUST be diluted with a carrier oil such as jojoba, almond, argan, grapeseed, etc. I don’t recommend coconut for carrier oil use or even just moisturizing the face (even the raw, organic, extra virgin type) because most acne sufferers can’t tolerate it well, even though it has antibacterial properties. Personally, I love jojoba oil from NOW brand because it mimics our own sebum- skin’s natural oils and contains anti-inflammatory properties and most tolerate it very well. Certain essential oils help relieve anxiety and stress, bringing tension down and alleviate inflammation internally – how does this effect acne? When your body is stressed, it creates more acne through stress hormone (cortisol) – stimulates oil glands and makes testosterone increase oil production and clogs pores, which leads to more breakouts. When one is inhaling the lush + calming plant extracts from anxiety reliving essential oils such as lavender, ylang ylang (my personal favorite for stress! ), chamomile, rose, bergamot, and eucalyptus – skin will produce a calming effect with less redness. 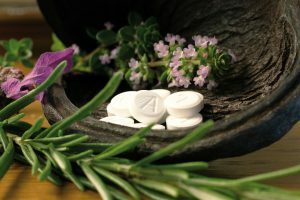 If used cheaper, lower quality essential oils that are potentially made with synthetic ingredients, the results are going to be counterproductive! Instead of calming the redness and relieving the skin from pore clogging bacteria, it will only do worse since the added fillers of chemicals will drive your skin to rebel causing more irritation, possible rash reaction, and redness. Again, research your brands for quality assurance from manufacturer. My Top 4 Essential Oil Picks! Lavender essential oil is a true multi tasker! Its widely known for its stress-relieving properties and sensual aroma but it’s so versatile that it can be used practically whatever your mind places this lovely scent to (with benefits)! It can be used completely neat without diluting (no carrier oil required) right unto a pimple with great overnight results. It won’t dry skin out, but instead soothe and nourish. It can also be added to any of your moisturizers and serums. Historically, the Romans and Egyptians would use Lavender as perfume and for bathing and cooking. Since that time, many have discovered the countless benefits that lavender holds – using topically for skin, internally to ease feelings of tension/ anxiety and promote restful sleep, and more. 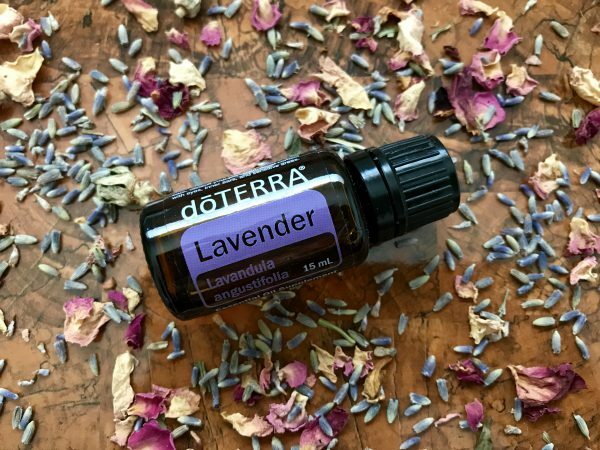 One of the main components of lavender is “linalool.” Linalool is a natural chemical component and oils that are rich in linalool are soothing. 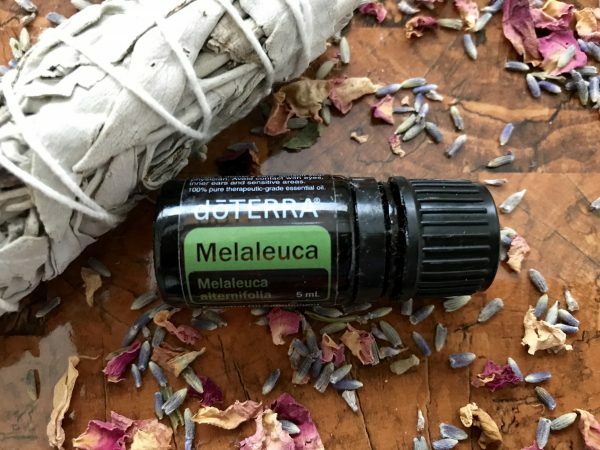 Linalool-rich essential oils are good in a “crisis, (uhum, breakouts),” meaning bug bites, cuts, etc., but are also perfect for day-to-day skin care. Thanks to linalool, skin is soothed and replenished with each use. Dropping just a few drops on your pillow before hitting the snooze can alleviate tension and bring a sense of serene and a peaceful sleep – lowering those stress hormones brought on from the day – this of course, eases redness and swelling on the skin that comes from raised stress level. You can also rub a drop of lavender oil unto your temples and décolleté area. Lavender essential oil is anti-inflammatory and antibacterial, which helps to calm and speed up recovery time that the sebum production brings to the skin from trapped oil and dirt. It also brings relief to already a somewhat broken skin from popping a pimple. Frankincense essential oil has a lovely, woody, earthy scent – a bit reminiscent of patchouli but just a tad sweeter and spicier. I love to diffuse this in my living room to become centered and one with the present moment. It has properties for the following use: antiseptic, disinfectant, sedative, tonic, expectorant, astringent, carminative, and a diuretic. Frankincense essential oil has beneficial properties for ALL skin types! This essential oil has healing properties due to antibacterial properties and cytophylactic properties (cytophylactic means that the oils stimulate the generation of new cells, which will aid in preserving the health of the skin) – perfect for both acne sufferers and mature skin. In addition, it can dissolve scars from acne. Frankincense helps to regenerate new cells and maintain the health of existing tissue. Personally, I use frankincense oil in my nightly moisturizer and so far, loving the results of a smoother, healthier and even toned complexion. I just add 2 drops to a quarter size moisturizer of choice and voila – healthy, clear, and collagen boosting face! Frankincense oil is especially beneficial to those of us, oily skin gals because it totally mattifies the skin! Tea tree oil’s main benefit is that its antimicrobial and antifungal. My fave way to incorporate tea tree essential oil for an acne skin care regime is use it in an oil cleansing method, which I will explain for those of you who are newbies. Essentially, using a carrier oil such as jojoba or argan oil mixed with a few drops of tea tree oil and rubbing into skin in lieu of a foamy cleanser or soap. This method removes ALL traces of makeup (including eye makeup), dirt, and pulls all skin congesting debris from the pores, leaving face refreshed and hydrated. This process works because the cleansing oil will dissolve the oil that has hardened with impurities and found itself stuck in your pores. The steam will open your pores, allowing the oil and all that gunk that’s harboring bacteria to be easily removed leaving your skin clean and refreshed. 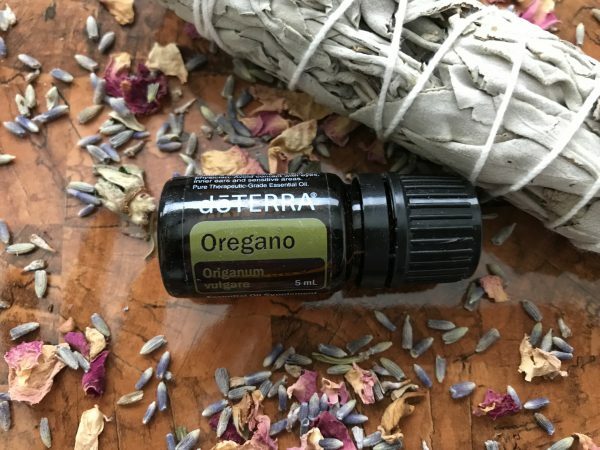 Oregano essential oil is nature’s antibiotic – it inhibits growth of bacteria internally + externally, which is the exact same reason why dermatologists prescribe various antibiotic prescriptions to acne sufferers. However, oil of oregano is 100% natural; therefore, it will not have any adverse side effects that prescription antibiotics from a doctor will. 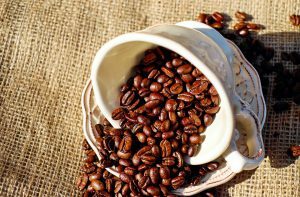 Its strength is in its phenols, phytochemicals and flavonoids that are plant based and not chemically synthesized substances. Oil of oregano may also be used topically on the skin to relieve acne, thanks to anti-inflammatory properties reducing swelling and redness of irritated skin. It is also antimicrobial, which makes it effective for infected skin. As stated in previous paragraphs, oregano essential oil is amazing for cystic acne. It packs a serious punch to heal when targeting a specific pimple(s) to treat. I do not recommend it to be added to a moisturizer or carrier oil for an overall complexion routine (I’m sure it’ll be fine diluted, but I’d prefer something more calming and gentler). It is a very drying essential oil and must be used somewhat cautiously because if applied incorrectly, it will burn the skin and I’m speaking from personal experience. Been there, done that! Ouch… So, always, always dilute! 50/50. Apply with a cotton swab. Oregano essential oil is a powerful antioxidant, and contains properties of being antiviral and antibacterial. One of the important uses of oregano oil is to kill off bacteria, making it perfect for acneic skin. It acts quickly to kill off bad bacteria on the skin from trapped oils and debris. It’s such a powerful oil that it can stop E. coli/ food poising from aggravating and sickening the stomach/body further. For that remedy, I would suggest taking oil of oregano in a supplement form only! the two brands that I’ve stuck with for years now are Aura Cacia (organic when possible), and Doterra with absolutely no complaints. Yes, a tad pricier, but quality is there and results really show through. I love using essential oils not only for skin healing and rejuvenation, but for aromatherapy, and perfume use as well. Each one of them act like tiny little potions that produce beautiful aroma and provide relief to stress and balance my skin. 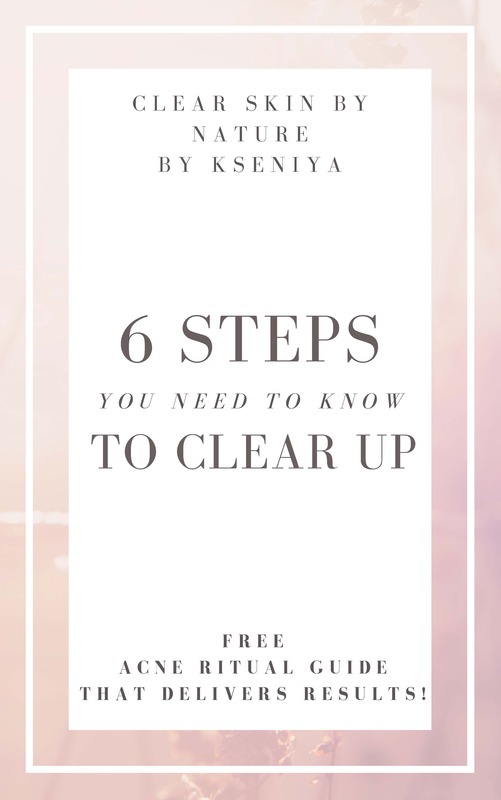 I hope I’ve given you some useful tips on how to utilize each essential oil mentioned above to clear up, so you can bring that lovely, beautiful face forward! Let me know if you use any of my fave essential oils or others and how you like to incorporate them into your lifestyle! Signup for exclusive content to flourish your skin into gorgeousness! I never would have thought of using oregano for anything but cooking. Thanks for this article. When I start looking for oils or even nutritional supplements based on “essentials,” I feel like I don’t have a way to know if I’m getting conned or if what I’m getting is actually primarily the ingredients I was looking for. So, I definitely appreciate the recommendations. Hey Phil! No problem- I’m glad you found my post informative! I’m glad my post was helpful. I hope your wife will enjoy her new products! I have a good friend who’s suffering from acne for a long time, I’m excited to see if these tips are going to help him! 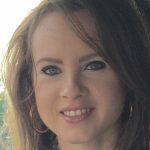 I’m sure my tips in this post will help your friend- I’ve found the outlined essential oils to work best for acneic skin. I’ve tried many over the years and these 4 have always come on top in terms of healing and regenerating the top layer of problematic skin. Let me know of his progress! Awesome post!! My wife loves essential oils and I read this website and thought it would benefit her too! You have a lot of great tips! I do have a question. I donate plasma a lot. Do you have a recommendation of these oils that might soften up the scar tissue that builds upon the point of the needle insertion? Thanks. Hi! 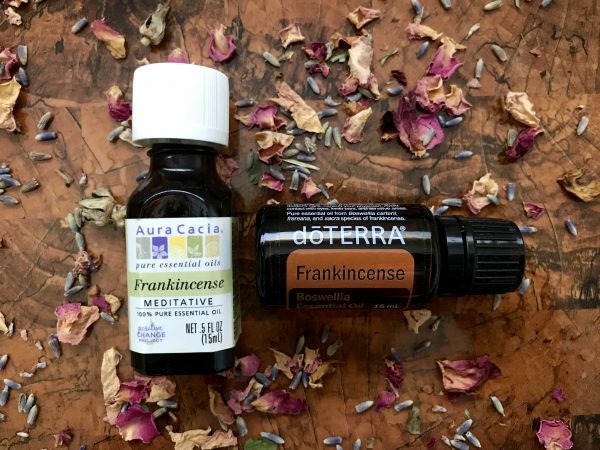 I would suggest frankincense essential oil, as mentioned in this post. Dilute 2 drops with approx. 1 or half a teaspoon of coconut oil. It works fairly well on cell regeneration, but it can take a few weeks or longer…Just keep that in mind. Now, I don’t know how deep your scar tissue is, so I can’t comment on how well the scar will heal. The less indentation, the faster it’ll heal. I love sites that provide information regarding natural healing and lifestyle like yours. 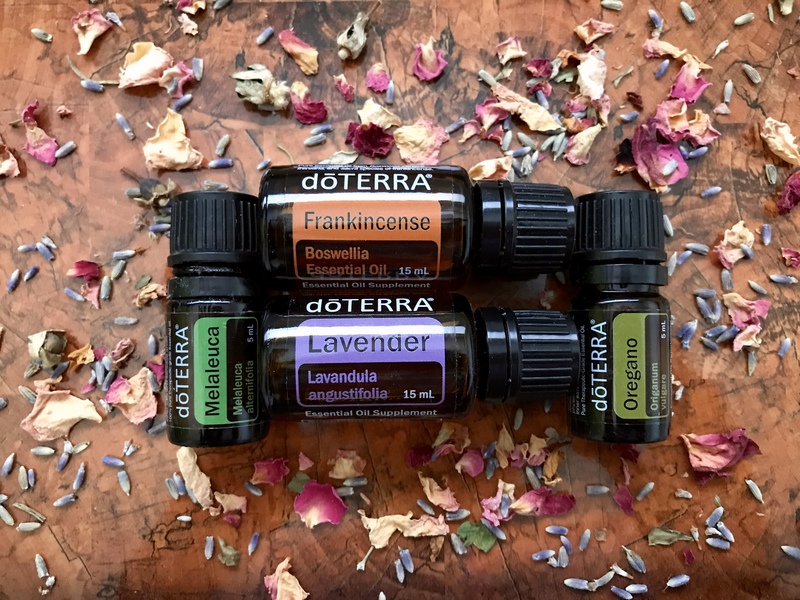 I haven’t tried essential oils as part of my daily regimen, however, I’m looking for an all-in-one product that provides the same result as using different products in order to save time and money, without sacrificing quality. 🙂 Since essential oils can be a cleanser and moisturizer, will you recommend it to use as a lone beauty routine stuff or still along with other products such as toner, cleanser, and moisturizer? Would really appreciate your response. 🙂 Great new information for me. Thanks for this. Hi! To answer your question- yes, you could def use essential oils in addition to a carrier oil for a 1 product for all your skincare needs (this is per ALL skin types, not just limited to problematic/acneic). I’ve outlined in this post some DIY recipes on how to use essential oils as a cleanser, spot treatment and moisturizer. Personally, I use essential oils in addition to my other skincare products. 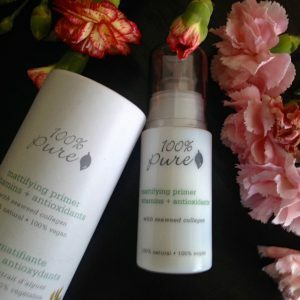 If you don’t want to spend a lot of money on skincare products- I would recommend finding a carrier oil suited for your skin type – argan, jojoba, etc. and play around with some essential oils- adjusting number of drops to your needs and you’ll be set to a healthy and plump complexion! Next Next post: Are Makeup Primers Clogging Your Pores (Silicone Alternatives Revealed)? Hi Loves! I'm a Certified Holistic Nutritionist & passionate about natural health + amazing and prosperous benefits it has on clearing + beautifying the skin! I've researched high & low (so you wouldn't have to) how to finally achieve an acne free complexion! Does Makeup Damage Your Skin (LEADING TO BREAKOUTS)? Are Makeup Primers Clogging Your Pores (Silicone Alternatives Revealed)? Find Out The All-Natural Secrets To Crystal Clear ComplexionClick Here!